Hey today we're going to address At Fault vs No Fault auto insurance. Auto insurance policies are set up based on the rules of your state and there are two very different approaches. Obviously those two are At Fault or No Fault. Let's start with At fault. In At Fault states fault is the primary factor in accidents. So you're sitting at a stoplight and someone drives up and hits the back end of your car. They rear end you. The fault is likely to be on them. That is fault. We've determined whose fault the accident is and in an at-fault state this would be a major factor in how the insurance policies payout. The insurance policy on the vehicle that was at fault is responsible for damages. That means damage to their car and their own injuries as well as damage to your car and your injuries. No Fault states flip that around. In these states fault is not a primary factor. So in that same accident the damage and injuries of each involved party would be paid for by their own insurance policy no matter whose fault it was. So even if someone rear ends you while you're sitting at a stoplight, if you live in a No Fault state your insurance policy is going to pay for damage to your car and injuries to you while their insurance policy is going to pay for damage to their car and injuries to them. So why the difference? Well, it has everything to do with ambulance-chasing personal injury attorneys. 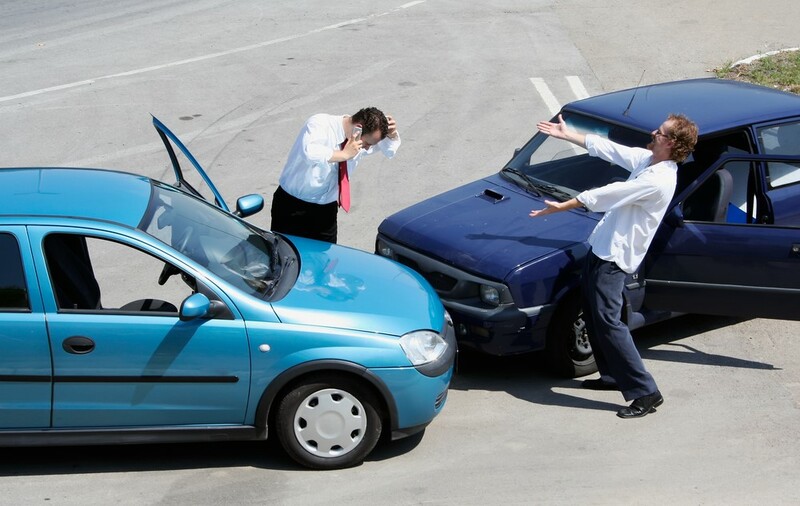 No Fault states are trying to avoid all the litigation that happens around auto accidents (and there's tons of it). So those no-fault states are saying, "hey, there's way too much litigation around all of this. It's costing everyone money, it's very hard to figure out, it's not really fair, and all this kind of stuff." So they say, "Look we're going to have No Fault insurance policies and take that piece of the puzzle right out of the situation." However, almost everyone can agree that the At Fault approach is is really more fair. If you're sitting still at a stoplight and someone rear ends you the fact that your own insurance policy has to pay for damage to your car and your own injuries which probably means that your insurance rates will go up really isn't fair. It wasn't your fault. You didn't do anything in the situation. It's not fair that you have to deal with all of it. So both approaches have their pros and cons and I think I've just explained why there are the two different approaches. So are you an At Fault state or a No Fault state? It's very easy to find out. Hop over to google just type in, "what type of auto insurance is in my state?" It will give you a list of At Fault states versus No Fault states. You should be able to find out very very quickly and then you'll know whether you live in an At Fault auto insurance state or a No Fault auto insurance state.